All measurement devices, even those of the highest performance, will drift over time; it is only a question of how much and how quickly. The more critical the application is, the more frequently calibration of the sensor is required. 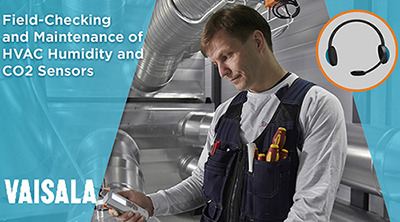 Field-checking HVAC measurement sensors ensures that they provide accurate and reliable data, which reduces operating costs and saves energy. Listen to the webinar here.